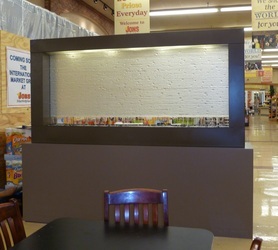 Attract the attention of any passerby with this free standing Fantasy Water Fall. Featuring an eight foot long clear Bios, this rectangular, two sided water feature impresses with a mass of trickling, rippling water that then free falls into a bed of pebbles. 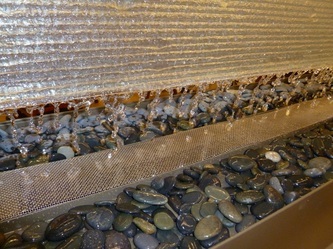 With multiple lights, this lit up water feature will delight your eyes and ears with a dynamic landscape and soundscape.